The following organizations have requested the following funding: The Jewish Foundation Of Greater New Haven receives more requests than we can fund on our own. We welcome donations of any size to help fulfill these requests and sustain the great programs that serve our community. For more information, either click through to the organizations website or contact The Jewish Foundation of Greater New Haven. Camp Laurelwood, the only Jewish overnight camp in Connecticut, seeks funding for a new chapel overlooking the lake. The chapel would be used for Shabbat services during the summer, weddings in the spring and fall and other events throughout the year. The $3000 cost includes clearing trees, adding benches and building a bima. 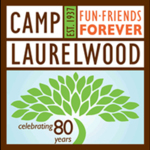 Camp Laurelwood, the only Jewish overnight camp in Connecticut, seeks funding for a new woodworking studio. The studio will help campers learn new skills and build self-esteem, while enhancing their overall experience at camp. The space would also be available for retreats and community events during the year as well. Laurelwood is seeking $3000 to cover the cost of converting a building into a studio, plus the purchase of woodworking tools. The Towers, our community's active senior living community, would like to host a High Holiday service for families, touched by dementia. The service would be between Rosh Hashanah and Yom Kippur. The Towers wants to provide an opportunity for families to participate in the holiday without the traditional pressures of attending synagogue in a crowded, long, over-stimulating service. The Towers recognizes that many caregivers choose not to attend services because of these issues. Their wish is to provide cognitively impaired Jewish seniors the opportunity to participate in an essential part of Jewish life in which they would not otherwise partake. The Towers will provide a community wide dementia friendly service that family members and caregivers can attend with their loved ones and have a spiritual connection during the High Holiday season in a safe welcoming environment. With the routine of prayer, music and liturgy, they hope to trigger memories and bring someone into the present during this meaningful season of the Jewish Year. They are requesting $2,800 to cover the costs of marketing the event to the community, the costs of the materials for the services, and a traditional break the fast following the service . They currently have a potential leader that will donate his services. Nutritional Support for Low Income Seniors. 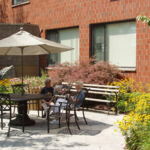 The Towers enjoys a longstanding reputation for excellence and innovation in independent and supportive housing for the elderly. The mission of the Towers organization is to provide older persons of varying means with high quality living arrangements and services based upon Jewish values and tradition. The current request is for $3.000 to provide nutritional support for low-income seniors. Many of the Towers' seniors live on very limited means and are food insecure. There have been cuts in government programs for the elderly which has resulted in some Towers' residents being at-risk for poor nutrition. The Towers has a convenience store and a cafe for breakfast and lunch and serves dinner six nights a week. Funding is being requested for seniors that cannot afford to participate in the meal plan and will allow the Towers to ensure that these seniors can get nutritional food. The Towers Staff of Resident Services Coordinators who work directly with the seniors will carefully monitor this program to be sure that they are meeting the needs of the seniors that will benefit most. In addition to the nutritional benefits, socialization opportunities will be realized for those seniors who can participate in the meal plan who would not have otherwise participated. The Jewish Family Service of Greater New Haven, Inc.
Jewish Family Service of Greater New Haven seeks funds for an Anxiety Reduction Support Group which incorporates spirituality. The agency's Mental Health/Counseling program, in conjunction with the Jewish Wellness and Healing Center (JWHC) staff, will offer this unique service model of both spiritual and emotional care. This new offering is an expansion of the agency's already existing Anxiety Reduction Group facilitated by the mental health department. JFS's goal is to offer four separate 8 session groups during 2018. The total cost to operate these groups would be $2,800 ($700 per group series). This specialized offering speaks to the need to address concerns of mind, body, and soul. This funding will allow JFSGNH to offer the program free of charge to all participants regardless of income. Jewish Family Service of Greater New Haven seeks funding for its STARS OF DAVID program. The Stars of David program serves Jewish families formed through adoption. JFS's goal is to expand the post adoption support offered to these families through a series of social/cultural gatherings throughout the year often around the Jewish holidays. The goal is to offer 4 programs in 2018 which will include a Shavuot celebration, a summer picnic, a National Adoption Month Celebration, to be held at the JCC, as a community-wide event, and a Chanukah party. 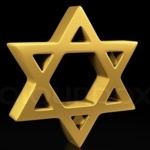 Stars of David is open to all Jewish families in the community regardless of whether or not they worked with JFSGNH previously. Often adopted children can feel different from their peers. This will offer these families the opportunity to come together, with the support of the Jewish community. This also provide opportunities for the children to socialize with other families like their own, while developing strong and important connections with other Jewish families. The total cost to operate these groups would be $3,000. 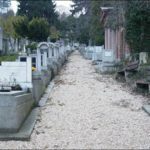 The JCAGNH in order to continue fulfilling its mission and to improve the safety of visitors to the Jewish cemeteries of Greater New Haven requests $3,000.00 to improve the walkways at the Jewell Street Cemeteries. 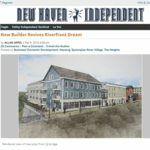 The Jewish Historical Society of Greater New Haven seeks funding to purchase and implement a modern museum/archive collection and contact management software program. This will move the organization from an Excel-based system to a truly professional process that will enable it to curate its collection efficiently and responsibly and at the same time establish a platform to connect with and grow its membership. The cost of this program, together with on-line training for staff and key board members, comes to approximately $2,400. The Jewish Historical Society of Greater New Haven seeks funding to inaugurate a program series of talks/presentations/performances by Jewish creative professionals from the greater New Haven region. Individuals who have already agreed to present include Roya Hakakian (literature), Jeannette Kuvin Oren (art), Paul Bass (journalism), David Chevan (music), and Mark Oppenheimer (podcaster-writer). The Society intends to expand this roster to include performers, religious professionals, and other distinguished figures whose talents and imagination enrich our community. The JHSGNH is seeking a grant of $2,200 to cover publicity, refreshments, venue and/or equipment rentals, and a nominal honorarium. 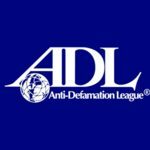 The Anti-Defamation League is seeks funding for a program for parents of entering college students in the greater New Haven area which will provide tips and strategies to prepare your student for potential anti-Semitism and anti-Israel activity when they enter college. This program was recently piloted in the Westport area and is called Think ,Plan, Act. The program goals include: providing a framework for parents about the types of anti-Semitic incidents and anti-Israel activities that have occurred across the country; learning what the best resources may be to find out what is currently happening on their student's college campus; understanding that breaking news and social media can quickly change a college's social environment; developing strategies about what to do and how to support your student if they encounter these issues; and understanding what resources are available. The goal is to encourage parents to have an empowering conversation with their students about these potential issues and possible responses when directly confronted with an anti-Semitic remark, gesture or threat, or when indirectly confronted with an insensitive comment or action. ADL's mission is to "confront anti-Semitism and secure liberty and justice for all." The Anti-Defamation League (ADL) seeks funding to support increased staff time and program resources to respond to the rising incidents of anti-Semitism, hate and bias in our community and across the state. Because this element of ADL's work is unpredictable and episodic, financial support will ensure that ADL can effectively respond when needed without sacrificing the rest of ADL's mission-critical work. As the only national Jewish organization with a Connecticut office located in Hamden, Connecticut, ADL gets the call with an incident occurs and springs into action. After investigating and making a thorough assessment, ADL considers the most effective response. Is the victim safe? Should the media be alerted? Does the police or school leadership need to play a role? Is there an education program that can help the community heal and prevent future incidents? With ADL's unique knowledge and expertise spanning civil rights law, anti-Semitism, bullying, racial bias, education and law enforcement, ADL can support all those impacted and provide an opportunity for the community to come together. 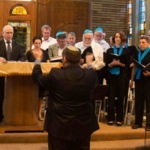 Connecticut's only adult non-synagogue affiliated singing group, in existence since 2006, seeks funding to continue its mission of preserving and sharing all types of Jewish vocal music, including liturgical and folk music in Hebrew, Yiddish, Ladino as well as English. The group, based in greater New Haven with most singers from the local area, is led by professional choral conductor Dr. Kevin Mack. They have performed in over 50 concerts throughout the area. Although singers in the chorale pay annual dues, and performance venues (synagogues, community groups) pay a fee for chorale appearances, this is not enough to sustain the chorale. Z'mirah must receive support to help with publicity, recruiting new members, paying an accompanist and musicians for our concerts, purchasing music and paying required royalties. Without additional support, this unique asset of our Jewish community is in danger of disappearing. 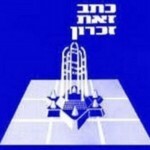 Donors will be listed as Friends of the CT Z'mirah Chorale on our programs. Ezra Academy seeks $3,000 in funding for their 8th grade Israel trip, to aid families who cannot afford the cost of sending their children on this most significant educational experience. The culmination of the Ezra Academy educational experience is the 8th Grade Israel Trip. Students spend two transformative weeks, in an intensive travel and learning program that exposes students to historical, biblical, and modern Israel through first-hand experiences, while reinforcing their years of classroom study of Hebrew, Jewish history, Israeli society and culture. Students return home with far more than fantastic memories. They return connected to one another, their heritage and the land of Israel. Armed with a clearer sense of self and a meaningful relationship to Israel and the world, students are well prepared for high school, college, and beyond. 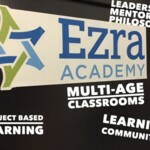 Ezra Academy seeks $2,000 in funding for the development and implementation of a new middle school Social Justice curriculum. Their new Social Justice curriculum is a creation of a cohort of Heads of Schools from 6 Jewish day schools in small communities, across the country. This project targets middle school students and involves interconnected studies and explorations in Jewish text and concepts of social justice, connecting values and learning to action. Students learn in both synchronous and asynchronous settings utilizing technology and traditional classroom settings. Each year will end with the students and teachers of each school traveling together and participating in a culminating, experiential learning fieldtrip. This year Ezra students will travel together to Birmingham, Montgomery and Selma, Alabama to experience together the history of the civil rights movement. In future years Ezra will include a trip to Washington, D.C. and Israel in which social justice and advocacy will continue to play important roles in the curriculum development. UConn Hillel seeks $2,000 for a Jewish cooking series, which will include the opportunity to meet and cook with cookbook author Shannon Sarna. Providing meaningful opportunities for informal Jewish education is an important component of its mission. Learning how to cook and taste quintessential Jewish food will allow students to further explore Jewish culture and their Jewish heritage. 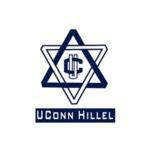 UConn Hillel seeks $2,500 to provide transportation for students to volunteer off campus twice a semester. As the Center for Jewish Life at the University of Connecticut, Hillel is committed to providing its students with opportunities to explore their Jewish identity in multiple ways. The Jewish value of Tikkun Olam, repairing the world, is important to its students and they are excited for the opportunity to give back to the local community. Congregation Mishkan Israel seeks funding for teen programming to involve youth in grades 8-12. 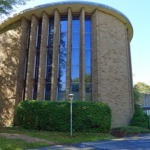 With the availability of a "teen membership" which allows membership for teens whose families are not synagogue members but who want to participate in synagogue programs, adolescents in the the greater New Haven Jewish community will be invited to become involved with Congregation Mishkan Israel High School programs. Running from 8th-12th grade, High School students will have the opportunity to engage in 4 classes, with 3-4 sessions each. Classes are offered throughout the year, ranging from "Judaism and the Elements" (a look at the Environment through a Jewish lens) to "From Abraham and Moses to Gandhi and King" (a look at ancient prophets and modern day leaders, what it takes to stand up in today's world). Teens will participate in planned social events through MITYOR, the high school youth group, as well as have the opportunity to attend 5 leadership trainings for Madrichim during the year and a leadership retreat in October for all teens interested in becoming leaders within their communities. Mishkan Israel focus includes teaching strategies that consider how to best engage students in learning - through classroom activities, social activities, and other community experiences. As programs extend beyond the classroom, CMI is excited to begin to extend beyond their immediate community too - bringing teens together from within the broader New Haven Jewish community. 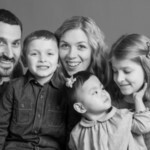 Congregation Mishkan Israel seeks funding to support their birth to six family programs which involves families with children through the first grade. Their family programs are open to member and non-member families in the the greater New Haven Jewish community. With this grant, CMI will invite families with children aged 1 month- 6 years to become involved with their Congregation Mishkan Israel Tot programming. Tot programming at Congregation Mishkan Israel includes 4-5 Tot Shabbat programs during the academic year on Friday nights or Saturday mornings which engage families in a shortened Shabbat service, including Judaic themed story time and Oneg afterwards to allow for families to mingle. Tot Programming also includes Sunday morning educational Tot Programs which include Pre-school and Kadima classes at Religious school as a way to engage parents and children in Judaic music, art, and literacy. Grant will allow Sunday morning Tot Programs to continue to bring in community members, like Sherri Sosensky to provide Jewish themed Yoga. These Sunday morning programs run 4-5 times a year. Mishkan Israel focus includes teaching strategies that consider how to best engage students in learning - through classroom activities, social activities, and other community experiences.